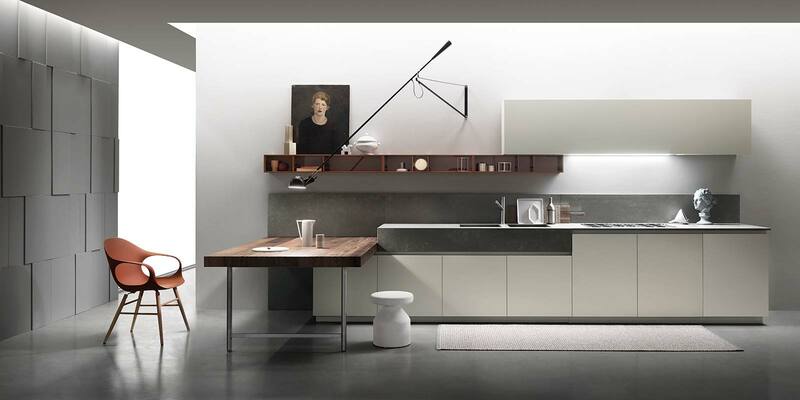 A Peninsula composition based on subtle contrasts in colour and forms. 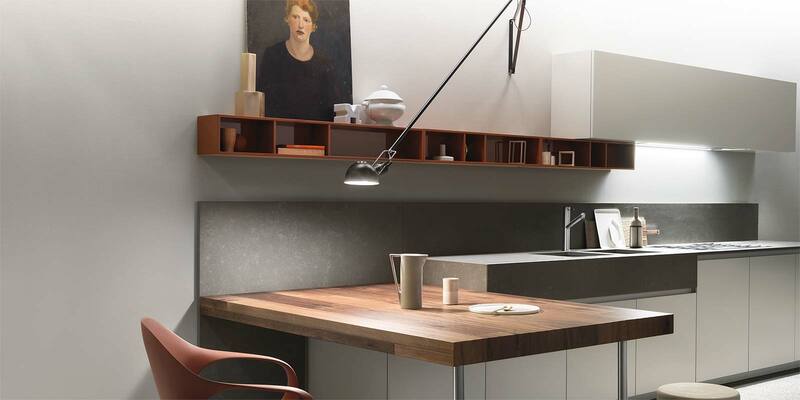 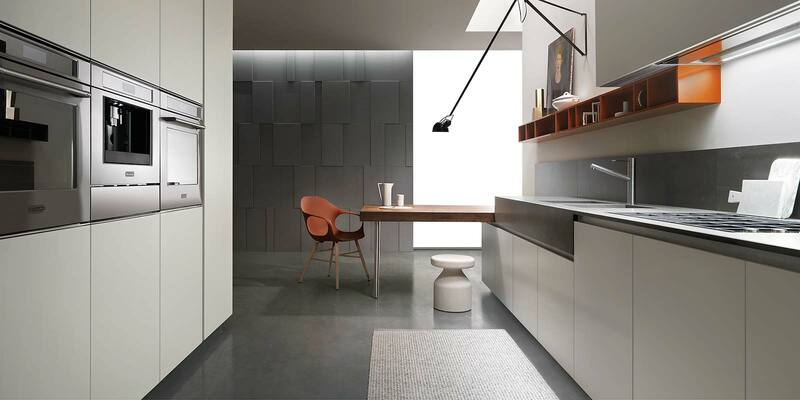 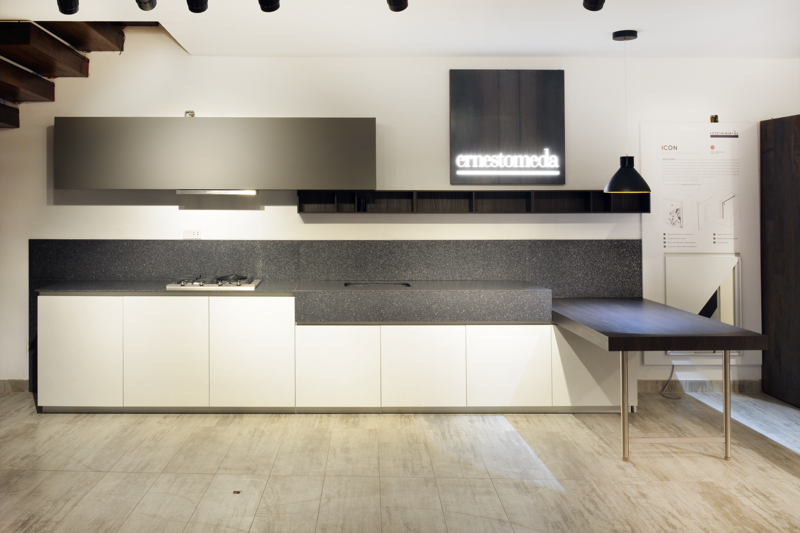 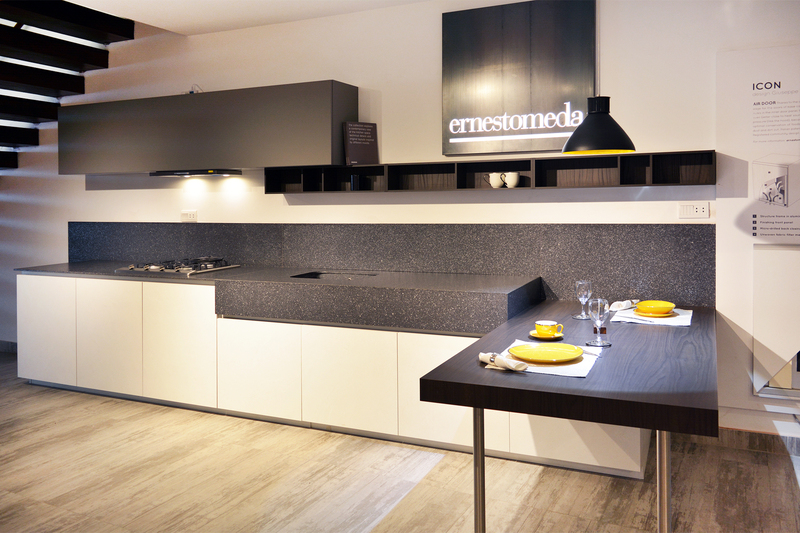 The exclusive, high-tech Iconcrete combines with the strongly natural feel of oak. 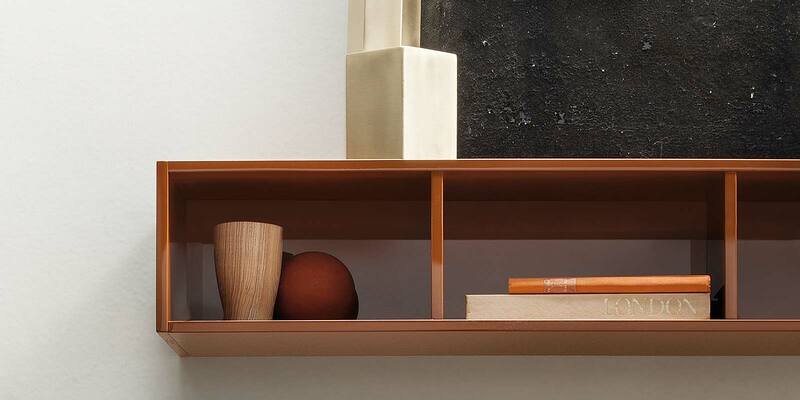 Each element in the composition is reduced to its fundamental geometry.